Strategy games are a popular genre among the gaming community, which require tactical thinking and resource management to achieve the objectives. 2016 was a remarkable year for the lovers of the genre because many successful RTS and TBS titles came out. So, if you like playing this type of video games, we have compiled a top-10 list. 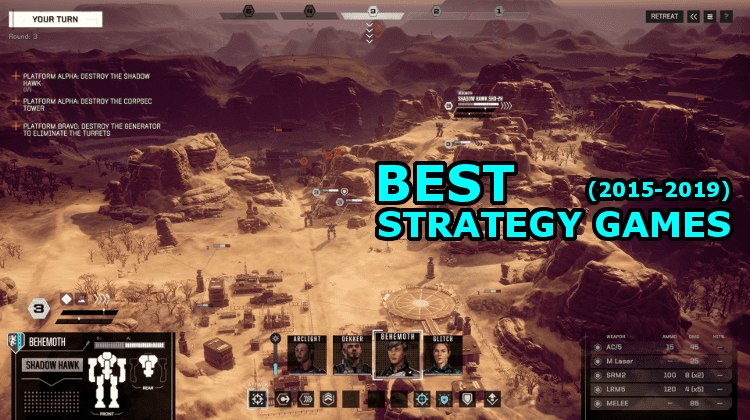 Check out the best strategy games from 2015 until now. The game selection was based on our personal preference and their Metacritic score. Beyond that, we don't list the strategy games in any particular order. 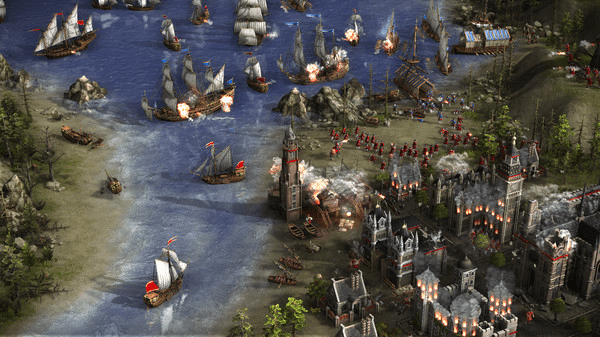 Which do you think are the best strategy games of recent years? XCOM 2 is the second installment of the homonymous turn-based franchise and one of the best strategy games of 2016. The title continues the story from the first game, in which alien forces have conquered the earth. Now, humanity’s last hope is the regrouping of the elite military unit XCOM, where the player has to command the troopers to end the extraterrestrial threat. This sequel stands out for its beautiful graphics and for the challenging battles that require smart micromanagement of the squad. For the ones who don’t know the Total War franchise, these series are 4X strategy games developed by Creative Assembly. In the fantasy world of Warhammer 2, the gamer chooses one of the available factions to overpower his opponents. The base game offers the campaign “Eye of the Vortex,” where we expand our empire in a turn-based style of gameplay. 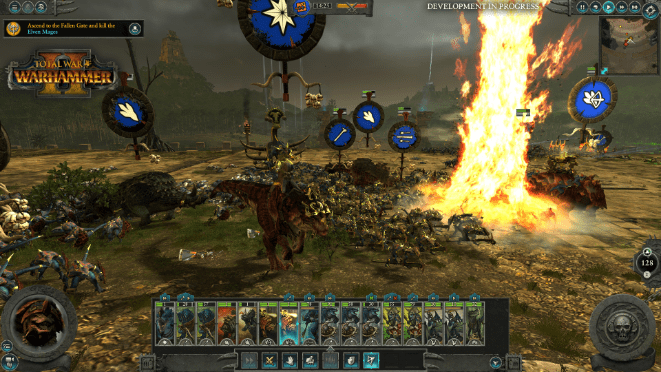 When we command our army to attack an enemy, Warhammer 2 starts off an epic real-time tactics battle. If we are fans of empire management titles, then Civilization VI is one of the best strategy games to play. As with the previous Civilization series, in the sixth part, we lead a civilization from the primitive era to the space age. 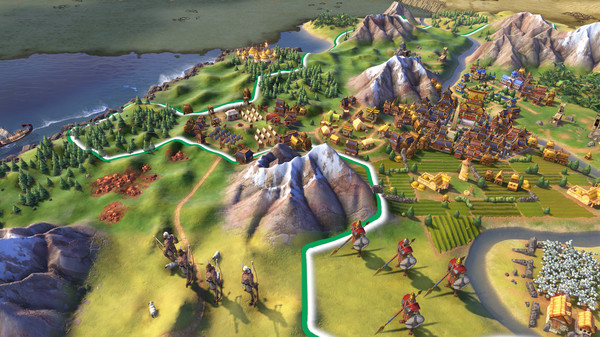 New game options and mechanics make the latest release the most complete Civilization game to date. World War 2 titles have always been popular within the gaming community because every player can write their own history. 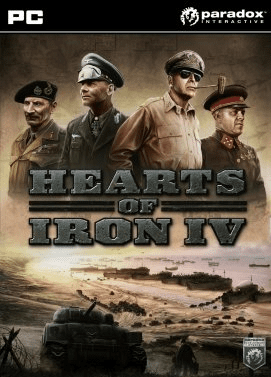 HOI 4 is one of the best strategy games with large scale action, where we assume the role of the commander of a nation. With several options to consider and many crucial decisions to take, it is an outstanding global war simulation title. Shadow Tactics: Blades of the Shogun is a real-time tactics stealth game, similar to the all-time classic Commandos franchise. The gamer controls a group of five covert warriors in feudal Japan to stop the evil plans of traitor Kage-Sama. Each playable character has their own combat skills and requires a different tactical approach while confronting the enemies. This game isn’t an original idea, but a modern version of the historical real-time strategy title Cossacks: European Wars (2001). The remake has nice updated graphics and new levels of depth, which make Cossacks 3 an enjoyable experience. 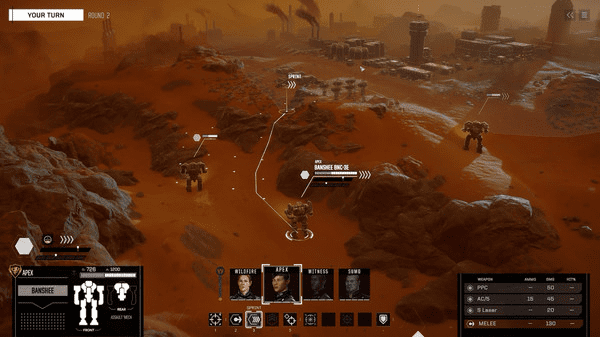 BattleTech is a turn-based Sci-Fi strategy title and a video game adaptation of the BattleTech board game by Jordan Weisman. The story occurs in the fictional interstellar space of “The Periphery,” where a civil war rages between the existing factions. Our role is to eliminate the opposing forces by commanding humanoid combat systems and bring back stability to the galaxy. Unlike the traditional RTS war games, OTC is a Sci-Fi strategy title that heavily focuses on economics and resource management. In the campaign mode, we take control of a trading corporation in the colonized Mars, with the primary goal of becoming the dominant company. To gain competitive advantage, we can use unfair economic practices as well, such as market manipulation, corporate espionage, and sabotage. 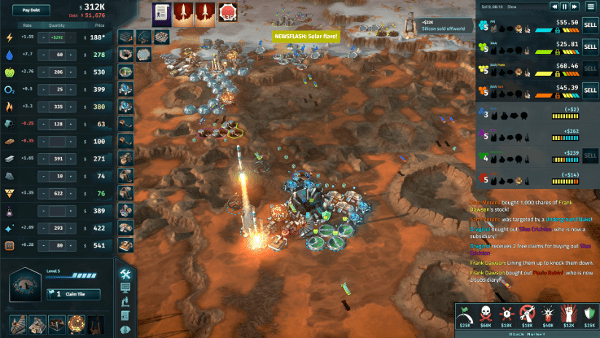 So, if we like playing business simulation titles, Offworld Trading Company is one of the best strategy games of its kind. Here, we have to mention that the multiplayer version of the game [λέμε went εδώ? ]went free-to-play on the Steam platform. Invisible is a turn-based strategy game with a tile-based movement of our team, like the XCOM series, where we control undercover agents. The story is set in the distant year of 2074, in which powerful companies rule the world. Our goal is to infiltrate into these corporate facilities to steal intelligence and recover operatives listed as missing in action. This title has stunning cartoon-style graphics and high replay value due to the procedurally generated maps. 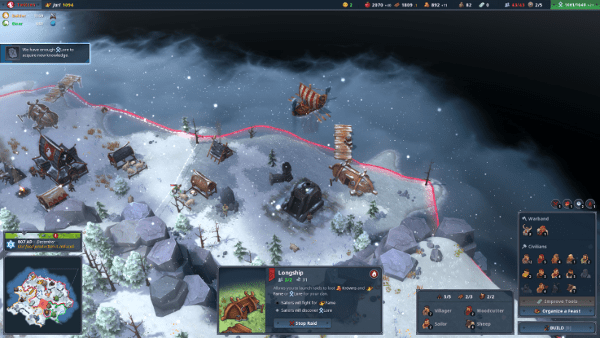 The last video game on our list is Northgard, which is a 4X strategy game based on Scandinavian mythology. The player leads a group of Vikings to explore and build their settlement on the mysterious land of Northgard. However, in this remote and inhospitable continent, we will face various threats, such as harsh winters and dangerous foes. To prevail, we need effective management of all the available supplies and human resources. If you’ve enjoyed a new strategy game that isn’t in our list and want to recommend it, leave us a comment below.